Thunderstorms likely, especially this morning...and becoming windy. High near 65F. Winds NW at 20 to 30 mph. Chance of rain 90%. Higher wind gusts possible.. Partly cloudy skies. Low 44F. Winds NW at 15 to 25 mph. 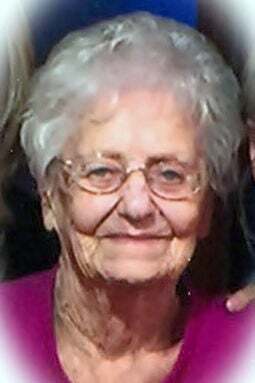 Helen M. Riley, age 92, of Fremont, formerly of O'Neill, went home to be with her Lord on Feb. 4, 2019. Helen is survived by a daughter, Judy (Tom) Frerichs of North Platte; sons, Robert of Fremont, Ron (Brenda) of Grand Island, Jack (Sandy) of Woodland Park, Colorado, Steve (Debbie) of Fremont; and daughter, Mary Jo (Kevin) Giesselmann of Elkhorn. She is also survived by 17 grandchildren and 27 great-grandchildren. Helen was preceded in death by her husband Forrest, two brothers, one grandchild and one great-grandchild. The funeral Mass will be 10 a.m. Friday at St. Patrick's Catholic Church in Fremont. Visitation will be Thursday from 3 p.m. to 7 p.m. with the family present from 5-7 p.m. and a wake service at 7 p.m., all at the Ludvigsen Mortuary Chapel in Fremont. Memorials may be directed to the family. Burial will be Friday at 3 p.m. in the O'Neill Cemetery.